Senegalese football fans are getting used to their league's new name, SPFL-StarTimes, after the Senegalese Professional Football League (SPFL) and StarTimes signed a 10-year cooperation agreement in October 2018. StarTimes, the Chinese TV broadcasting group, now holds the exclusive broadcasting rights of the West African country's elite football league. This is another step forward in the transformation of Senegalese football, following the league's professionalization in 2009. The SPFL now includes the 28 best Senegalese football clubs in both League 1 and League 2. The partnership agreement is effective from the current 2018-19 championship. According to SPFL President Saer Seck, StarTimes was not the only broadcaster interested in the league. "We made a point of consulting not only several television stations in Senegal, but also major foreign sports TV stations such as global giant beIN SPORTS, France's Canal+ or South Africa's SuperSport, which were as interested as StarTimes," he said. According to the partnership, during the championship, StarTimes will broadcast regular live SPFL matches on TV. A 52-minute weekly sports show will also be produced and broadcasted. To accommodate this, the two partners established Life TV, a new sports TV channel that is now available as part of the StarTimes package. All this was done in cooperation with Senegal's public television company RTS. In return, StarTimes is providing an $11-million financial contribution to the SPFL, in addition to other forms of support, such as plasma screens at stadiums for displaying scores and synthetic turf. The partnership will allow the SPFL to raise its profile on the continent and worldwide. 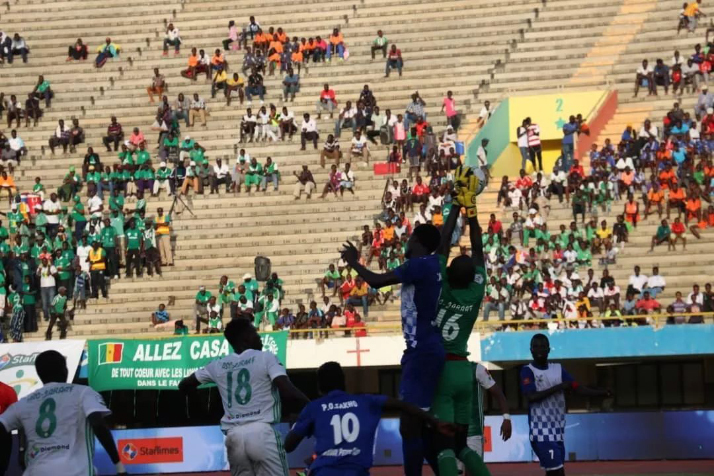 According to Seck, Senegalese football clubs have everything to gain from this agreement, especially considering that the deal provides for a redistribution of profits generated by television rights. "After covering the SPFL administration fees, the rest of the money will go directly to the clubs to allow them to increase their level of organization, purchase better equipment, hire staff, prepare their teams for the championship and pay decent and regular salaries to their players so that they want to remain in their clubs," said Seck. He believes this will help strengthen Senegalese football as a whole. While recalling previous unsuccessful agreements with Senegalese television stations, sports journalist Salif Diallo said that the collaboration between the SPFL and StarTimes is "something wonderful." He said the partnership provides Senegalese players with an open window to Asia, and to China in particular. 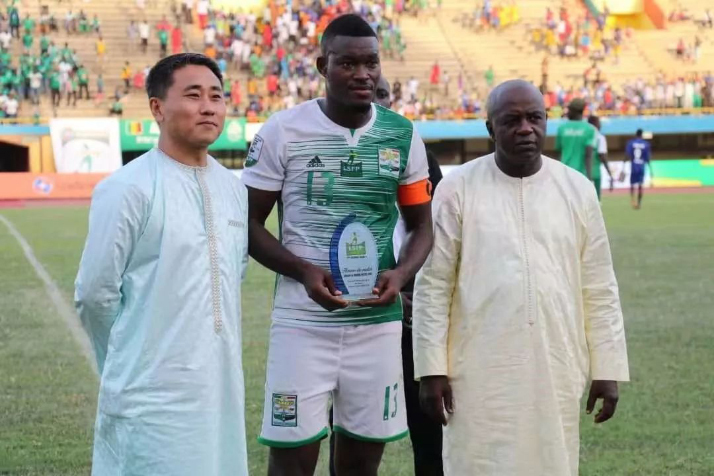 Admittedly, he added, local Senegalese football is not as attractive as Western football, but Chinese investors may be tempted to take shares in Senegalese clubs, or even to buy a club, after watching SPFL matches. Diallo strongly believes that Senegalese football will emerge as a winner from the agreement. His views are shared by his colleagues Samba Oumar Fall of the Senegalese daily Le Soleil and Abdoulaye Thiam of Sud Quotidien. Thiam, who is also the President of the National Sports Press Association, said that since its creation, the SPFL has had no partner to support it. Moreover, he added that television rights are normally the main source of profits in football. Other activities, such as jersey sales or sponsorship, lag far behind. Seck said the partnership will be beneficial to all. "We come from a situation where television stations used to ask us to pay money to broadcast our games. So I think it's definitely a good thing to have a channel [StarTimes] that is ready to invest money in Senegalese football," he said. Moreover, the collaboration will allow Senegalese football to stabilize its current operation, and develop a better quality product. "Our objective is that after 10 years of collaboration with StarTimes, our product will be of sufficient quality, will have enough visibility and will be attractive enough so that all TV channels will fight over it, including StarTimes, offering us a totally different economic system than the one we currently have," added Seck. In September 2018, StarTimes stopped selling and marketing its set-top boxes used for satellite transmission in Senegal in accordance with a court order. The court put a stop to all sales of their set-top boxes following a complaint from Excaf, the Senegalese company in charge of digital terrestrial television (DTT). For Seck, this confirms the importance of having a long-term contract between the two partners. The court decision was unexpected, as StarTimes had made a good start with selling its set-top boxes in the country. The company had already equipped 300 villages with its boxes at the time of the court order and was planning to equip 300 more in the near future. According to Seck, the dispute is a sign that there is a fear of competition. He argues that the StarTimes TV package is not part of DTT, even if he acknowledges the presence of "a DTT output on the set-top box that StarTimes sells." However, he pointed out that StarTimes is a direct-to-home service, like Canal+ and DStv. According to Seck, StarTimes is not a direct competitor of Excaf, whose contract expires in 2019. Thiam believes that StarTimes seeks to take advantage of football to enter the Senegalese set-top box market. Diallo, for his part, argues that "while we must obey all national laws, we also need healthy competition." However, the length of the partnership agreement, i.e. 10 years, makes Seck optimistic about the future. "Starting from scratch to set up a quality television channel takes time," he said. Hence the need for a long-term contract to stabilize the partnership and provide viewers with a product of the highest quality possible. Founded in 1988, the StarTimes Group is a Chinese multinational media company headquartered in Beijing. Since it launched its activities in Africa in 2008, it has gone on to become the leading digital television operator on the continent, with nearly 20 million users, according to Anaïs Feng, StarTimes Marketing Director for Senegal. The group has established local branches in 30 African countries, including Rwanda, Côte d'Ivoire and Mozambique. Feng is delighted with the partnership with SPFL. "I am confident that it will generate excitement across the country and that football fans will be more than happy to be able to watch games of their favorite team live on television," she said.